One of the questions we most often get from the Keto Diet Living community is How can I tell if my body is in ketosis? Or How can I check my ketones? If you have just started keto or have been on your keto journey for months, you probably know that when your body changes from relying on carbohydrates for energy to metabolizing fats, it produces molecules called ketone bodies. Following a low-carb, high-fat ketogenic diet will reduce insulin and increase the breakdown of both consumed fat and fat stores on your body. When this occurs, your liver begins creating vast quantities of ketones to supply energy to the cells throughout your body and brain. Ketosis usually happens when ketone levels are present at 0.3 to 0.5 mmol/L and can happen in as little as just a few days. Becoming fully keto-adapted often takes longer and of course, varies for everyone. How Do I Know If I’m In A State of Ketosis? If you are unfamiliar with the symptoms or how to test for ketones, it can be difficult to know whether you’re “in ketosis” or not. Rest assured there are some telltale signs and symptoms to tell if your carb cutting efforts have been sufficient enough to result in ketosis. First, let’s take a look at some signs you may see that don’t require testing for ketones with the various blood, breath, and urine testing methods available. In order to produce ketones, you need to follow a diet that is high in fat but moderate in protein. When you eat too much protein, your body will convert the excess into glucose. This will happen if you are making foods like chicken, turkey and low fat beef and pork the mainstays of your meals. In order to curb your protein intake, opt for the fattest cuts of meat. Eat chicken with the skin on and consciously try to cut back on your protein intake. As a guide, you need to keep your protein intake less than 2 grams per kilogram, of bodyweight. So, if you’re a 90 kg guy, you will want to keep your daily protein intake to less than 180 grams. Your goal on keto is to get into a state of ketosis. So, how do you know if you have chained that goal? You use keto testing strips. Keto testing strips are an effective way to tell if you’re n ketosis at the beginning of your keto journey. However, after about a month of being in ketosis, the kidneys will adapt to and excrete fewer ketones after about a month of being in ketosis. After that, you will only see a trace amount of ketones in the urine. Yet, most people continue relying on keto strips to let the, know if they are staying in ketosis. This is a mistake – once you are fully keto adapted, keto strips will not give you an accurate depiction of how you are doing at burning fat for fuel. As a result, keto strips can kill your enthusiasm just at the point when your body is really starting to ramp up for fat loss. Once you have made the switch to a fat burning energy system, you body will rely on a specific ketone – beta-hydroxybutyrate – as its main fuel source. But keto strips don’t measure for beta-hydroxybutyrate. During the change over process, the body relies on the ketone acetoacetate, which is the ketone body that is measured in urine. Then, as ketones become your primary source of fuel, acetoacetate gets converted to beta-hydroxybutyrate. The result is that your kept strips will no longer turn to the magic purple and you will stress that you are doing something wrong! The bottom line here is to stop using keto strips after the first month. Just stick to the game plan – very low carb, moderate protein and high fat – and you WILL remain in keto. When something has been ingrained into you your whole life, it can be extremely difficult to get past it. That is definitely the case when it comes to eating fat. Contrary to what you’ve been taught, dietary fat will not clog your arteries or make you fat. The truth is that eating more fat is one of the best way to stave off the hunger and cravings, especially for carbohydrates, when you are going low carb. To make a success of the keto diet we all need to get over our fear of fat. Don’t feel guilty about chowing down on the fat that surrounds your steak. Plow into that delicious skin that’s covering your roast chicken. And eat more butter, coconut oil, sour cream, full fat cheese, avocados, full fat Greek Yogurt and whipped cream. There is no limit on these foods! Let’s consider the first basic principle of nutrition . . . In order to lose body fat, you need to burn more calories than you consume each day. In order to gain muscle weight, you need to consume more calories than you burn each day. This principle is known as the Law of Energy Balance. Now this law may seem like common sense. Yet, this is the reason that so many people are unable to reach their fat loss goals, even on the keto diet. They are sticking to their high fat, moderate carb and low fat macronutrient plan but the fat loss just isn’t happening. They are ignoring the Law of Energy Balance. Simply put, they are eating too much. You see, even if you are eating the right foods, if your balance exceeds your output, your body has no choice but to put on weight. Calorie control is the missing ingredient. 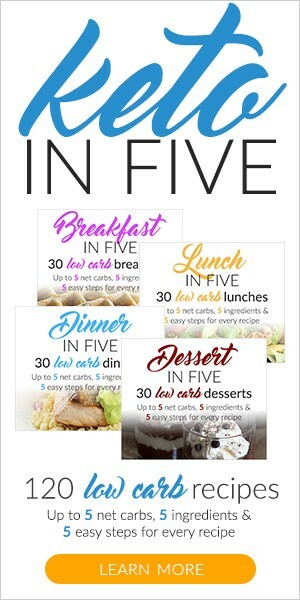 A lot of so called healthy eating experts promote the idea of eating, five, six or even seven times per day. You should not be doing that on the keto diet. When you begin producing ketones and burning body fat for energy, it is quite easy to feel full and satisfied on just a couple of meals per day. Once your body becomes keto adapted, you will stop feeling hungry because your body has a readily accessible store of energy in the form of stored body fat. If you eat beyond the body’s requirements, you will use more of the fat from food than the fat from your body for energy. You will also be taking in more carbs and proteins, with the possibility that they may throw you out of ketosis. To overcome this keto newbie mistake, you have got to get out of the programmed eating trap (breakfast, lunch, dinner) and really start listening to your body. That means only eating when you are hungry. A related issue has to do with plate size. We have been conditioned to finish off what’s on our plate. He problem is that the size of the average dinner plate has gotten one third bigger in the last thirty years. It’s no surprise that the rate of obesity has skyrocketed during that same time period. The solution is to use smaller dishes and smaller utensils. It may sound a little goofy, but, if you have children, use their bowls, forks, spoons and cups. If you eat with smaller utensils, you will eat between 25 and 40% less food – that’s a whole lot of calories. If you are eating something out of a packet, tip it out and place it on a napkin. That way you won’t feel as if you have to finish the packet off. Most people relate controlling their blood sugar with diabetes. Yet, keeping tabs on your blood sugar count is the best way to assess how you re going hormonally on the keto diet. It is way more effective than using keto sticks long term. You can pick up a blood glucose meter at any pharmacy or order one online here. If you are sticking to the keto regimen of low carbs, moderate proteins and high fats, you will show fasting blood sugar count of between 70 and 80 grams. As your blood sugar level goes down, your ketone production will increase. So, what’s the most important thing you need to cut out to bring down your blood sugar levels? Ironically, it’s not sugar. Grains are the worst offenders in triggering blood sugar. That is why you MUST completely eliminate grains from your life. Those low carb breads simply won’t cut it. To bring down your blood sugar levels you have got to go cold turkey! Is your breath smelling fruity or metallic tasting? If so this may be a good sign that you’re in ketosis. This change in breath is pretty common on the keto diet especially when starting out and is caused by elevated ketone levels specifically acetone which is a ketone waste product that exits the body in your breath and urine. The bad breath usually goes away after a while, and you can deal with the issue by drinking lots of water, chewing sugar-free gum, using mouthwash or brushing your teeth several times each day. The good news is this excretion of acetone makes it pretty simple to test for ketones both in the urine and breath which we will discuss later on so make sure to keep reading to find out how. When you first start keto, you may see quick weight loss the first few weeks which is usually mostly water weight. If you continue to restrict carbohydrates after the initial drop in water weight, you should continue to lose body fat and notice this both on the scale and in the way your clothes fit which is a good indication that your body is in ketosis. There are a variety of other less obvious factors that may indicate you are in ketosis like overcoming the keto flu, improved brain function, stable energy levels and increased performance, but I don’t like to put too much weight in “you might be” scenarios. I suggest testing for ketones, so you know for sure if you are in ketosis. As you transition away from a traditional high carb based diet testing your ketone levels is a great way to observe how your body is reacting to the keto lifestyle. So, let’s take a closer look at the available methods for testing your ketone levels so you can get a more accurate assessment, of ketone levels in your blood, breath or urine. The most precise and trustworthy method of measuring ketosis is to monitor the amount of ketone body beta-hydroxybutyrate (BHB) in your blood with a blood ketone meter. The optimal range for blood ketones is from 1.5 – 3.0 mmol/L and is considered the range that offers the most health benefits if maintained long term. There are several home blood ketone meters available for purchase on the internet and in stores. The meters themselves are pretty affordable, but the ketone test strips are expensive and can be as much as a few dollars a piece depending on which brand you choose. 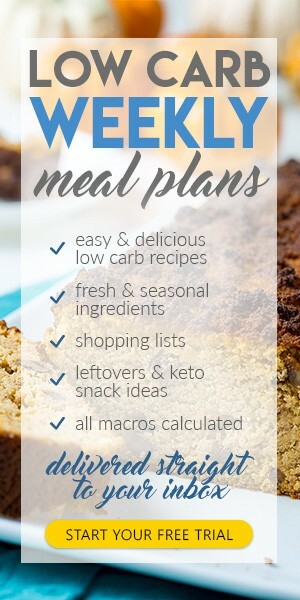 My personal favorite is the Keto Mojo meter and ketone strips which are really affordable in comparison at $1 a strip. Because of the high cost, we recommend you only test once per week or every few weeks to ensure you are in ketosis. The good news is these meters are very easy to use and although they require you to prick your finger with a lancet needle to produce a drop of blood its virtually painless and only requires a tiny sample size. Take it from a 38 year Type 1 diabetic testing your ketones once a week or bi-weekly is nothing compared to testing your glucose ten times a day. Like people with diabetes test their blood glucose levels you do the same by pricking your finger and squeezing out a small sample of blood and applying it to the blood meter stick, and the meter gives you a ketone level reading of exactly how much beta-hydroxybutyrate (BHB) is in your blood within seconds. Because your blood isn’t affected or diluted the same way ketones in the urine can be by everything from hydration to medications blood measuring of ketones is extremely precise and considered the most reliable way to measure ketone levels. Although slightly less accurate than blood meters and more accurate than urine tests ketone breathalyzers are used to measure acetone in your breath which is the by-product of your body breaking down the ketone body acetoacetate AcAc. These function similarly to what police officers use to do roadside DUI breath tests, but analyze acetone instead of alcohol. The best part is you can test yourself as many times as you like since they don’t require test strips as a blood ketone meter does and although they can be pricey, you may save some money over time. Being able to test whenever you want is excellent because you can see how different foods and exercise may affect your ketone levels. Some of the breathalyzers like the Ketonix also come with USB connections and software to track your levels over time which can be an outstanding tool for dialing in your food, exercise, and routine. The Ketonix does take some getting used to and is not as fast or as accurate as checking with blood as it takes some time to warm up and the software can be an issue for some. If you are interested in learning more about the Ketonix you can check it out on Amazon at Ketonix Breath Meter. Urine test sticks are inexpensive and are an easy way to check the ketone bodies, acetoacetate in your urine and ultimately how your diet is going initially. These ketones will spill over into your urine, and the change of color on the urine strip will indicate your level of ketones. We only suggest using these when you are first starting off with keto because they are so cheap and can be a good early indicator of whether you are in ketosis. That being said they can often give a false or inaccurate reading based on several factors like your overall electrolyte and hydration levels and medications you may be taking. Because, urine test strips, test the amount of acetoacetate that spills into your urine they become less reliable as your body becomes “keto-adapted” because your body is using acetoacetate more efficiently and so there is less in your urine to read. Because of the urine strips inability to accurately track the used up acetoacetate is another reason why blood testing is the most accurate and reliable method of measurement for ketones. So What Is The Best Method To Test For Ketones? Over time you should be able to tell by how your body feels and recognizing the signs that you may be in ketosis, but if you want to know for sure and if you want to track how foods or exercise affect your state of ketosis then you should consider using blood testing. If you have the budget to afford to measure ketones by blood, we think that is the best way to track ketone levels, but a ketone breathalyzer comes in a close second based on the long-term savings and relative closeness in regards to accuracy. Only use urine strips if you’re just starting out or you simply can’t afford blood or breath meters. Can’t Afford A Blood Ketone Meter? Check Out Some Inexpensive Urine Test Strips To Get Started. 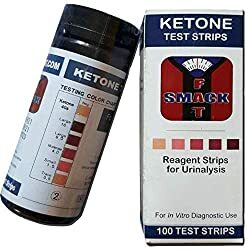 Smackfat Ketone Strips These are great for just starting out on a ketogenic diet and give you a view into your intial ketosis adaptation with 100 Strips.